The change in location was a long time coming. 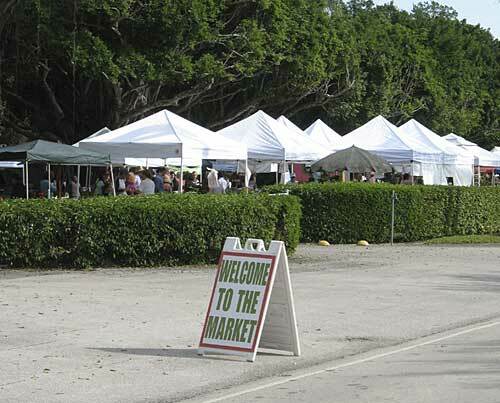 Germaine Butler, the founding president of the Pinecrest Garden Club, is delighted to have the Pinecrest Gardens Farmers Market at the garden. “I wanted a market for seven years,” she told me. “This is a community garden, and the market fits in here.” It took some persuading from Farmer Margie, Mitch Rabin of Living Colors Nursery, and Tim Rowan of The Lettuce Farm, to move the market to its new location. 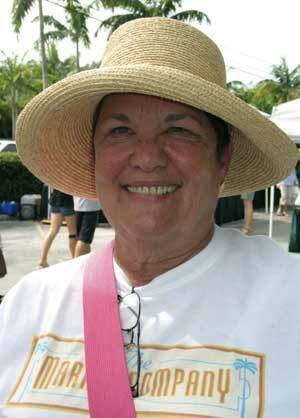 Claire Tomlin, who owns The Market Company which runs this market, is happy with the move. She said there’s plenty of room, plus it seemed a natural fit with the neighborhood. Compared to the Gardener’s location, the vibe is definitely more laid back, with people strolling up and down the long row of vendors. And there’s plenty of overflow parking along Killian Drive. The large Redland Organics tent is located at the west end. If you’re in the CSA, and you want more of something in your share, you can find it at the market. If you’re not in the CSA, this is your chance to get the same things your friends are enjoying. You’ll also find goodies at RO tent that you won’t find in your box, such as smoked eggs, dried fruit, local raw honey, tomato plants, various tropical fruits from Possum Trot Nursery, and delicate oyster mushrooms (which debuted at Ramble) grown by Paradise Farms. Redland Mediterranean Organics holds down the east end of the market. Stroll over to see Hani Khouri tending the falafel fryer, and get a taste of his goat cheese, hummus and tabouleh. Yeah, there’s another guy selling similar food, but it just doesn’t taste the same. And if you want pumpkin pie ice cream made with fresh goat milk, this is the only place you can find it. And while you are there, stroll through the Pinecrest Gardens themselves. Admission is free, and docents from the garden club will give tours at 10:30 a.m. and 12:30 p.m. The garden club has big plans to put in a world-class kitchen and bring in world-class chefs to give cooking classes, according to Germaine Butler. Once an avid rose grower, she now plants arugula in the front yard, and has a philosophy of “sow it, grow it, serve it, eat it.” Sounds like a good match of garden and farmers indeed! As an elected leader, I am overjoyed that the new farmer’s market at Pinecrest Gardens has been so warmly embraced by our residents. The market has quckly assumed the stature of a vibrant and vital community institution. Hats off to Claire, who does an outstanding job of pulling everything together. As to the “overflow parking along Killian Drive,” visitors are advised to park within Pinecrest Gardens, which has space for more than 400 cars, or on the north side of Killian only. The south side has no-parking signs and enforcement by the Pinecrest police is vigorous. Thanks for your clarification about parking, and the warning about parking enforcement on Killian! 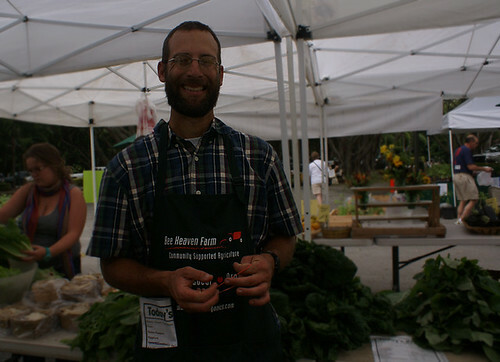 This is how happy the farmer’s market makes Mike! Mike looks quite happy, and much in his element. Thanks for sharing!